Golf runs in Josh’s family and his passion for the game was sparked at a young age. Josh enjoys all aspects of the game from playing to teaching, equipment fitting and learning all the ins and outs of the golf industry. Originating from Regina, Saskatchewan, Josh first came to Lethbridge in 1999 to attend the Professional Golf Management (PGM) Program at the Lethbridge College. After graduating from the PGM Program in 2001, he was ready to turn his passion into a lifelong career. Prior to coming to Evergreen Golf Centre, he spent 4 seasons working at the Kananaskis Country Golf Course. 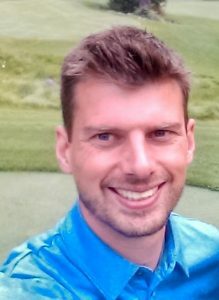 Wanting to learn more about semi-private and private golf club dynamics, he moved back to Lethbridge in the fall of 2002 and has lived here since. In 2003 Josh joined the team at the Magrath Golf Club through to the end of 2015. Along the way, he gained tremendous knowledge and experience in managing his own business and applied that knowledge and experience into his next venture as the Owner/Operator of J. Walker Golf. In 2016, he opened J. Walker Golf as a stand-alone independent golf shop, specializing in custom fit equipment and the latest in Men's and Ladies' golf apparel and accessories. With a focus on customer service, in two short years, the team at J. Walker Golf has fit over 150 customers into custom fit equipment best suited for their individual games. He is extremely excited to be joining the fabulous team at Evergreen Golf Centre as the new Head Professional. He is looking forward to meeting and getting to know all the great customers of Evergreen Golf Centre and to helping you get the most out of your game. To Book a Lesson with Josh, fill out the form below, email him at [email protected] or call (403) 329-4500. Cara attended California University of Pennsylvania on a golf scholarship, and completed the Professional Golf Management Program, minoring in business and accounting. 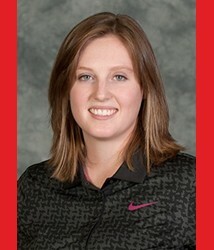 While on the golf team, Cara competed at the NCAA Division II level and played Regional and National events. Cara grew up in Innisfail, Alberta where she played on the McLennan Ross Sun Junior Tour and competed at provincial and ladies amateur events. Cara held positions at Innisfail Golf Club, The Club at Nevillewood in Pittsburgh, PA, and Wade Hampton Golf Club in Cashiers, NC. Her most recent internship was at the Every Body Golf School in Virginia where she taught private and group lessons to all ages. She is excited to be part of the team at the Evergreen Golf Centre! We welcome Cara to the Evergreen Family. *Contact me to set up lessons for 3 or more students. To book a lesson with Cara, fill out the form below, email her at [email protected] or call (403) 329-4500.